A 19th Century Tortoiseshell Jewelry Box - C. Mariani Antiques, Restoration & Custom, San Francisco, CA. 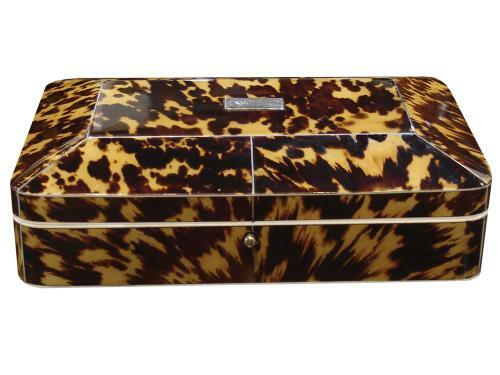 A 19th Century Tortoiseshell Jewelry Box in the rectangular form with gracefully curving corners and detailed with silver stringing and silver accents. Height: 1 3/4"; Width: 6"; Depth: 4"